Design Centre, Chelsea Harbour has an impressive new crop of stylish showrooms, many of which are in beautifully revamped or larger spaces. Many international design names at Design Centre, Chelsea Harbour are investing in their showrooms. US brand Edelman Leather is a good example, debuting a new look in time for London Design Week 2019. The setting has been devised by renowned design firm Gensler to transform the space, putting the spotlight on luxurious leather in an inviting, hospitable environment. 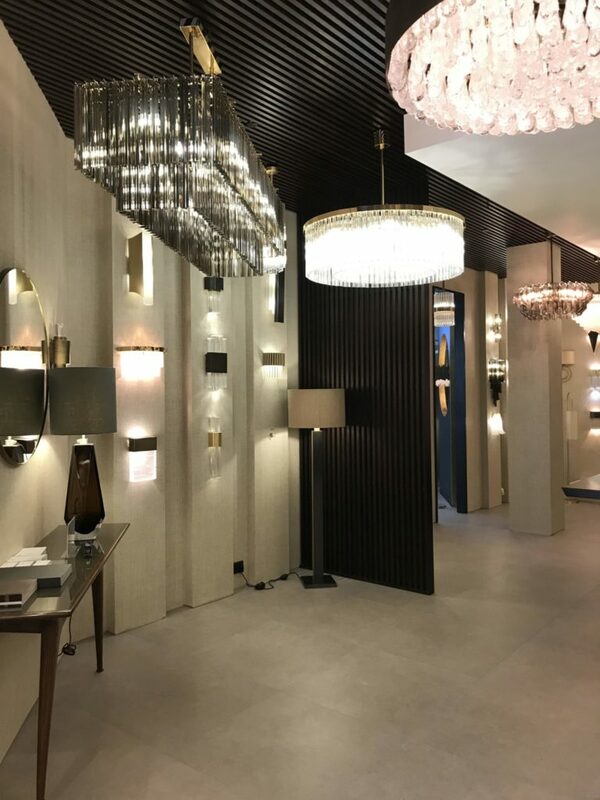 Every element has been created to enhance the visitor experience of viewing the product, using tactile materials such as understated white oak, marble, glass and antiqued brass, along with new lighting. As a backdrop to tell the story, look out for the display of boxing gloves, chic handbags and pieces of artwork, all made out of leather, of course. The aim is to explore, discover and gain inspiration from the artisanal beauty of its leather collections, as well as see and feel its depth of colour and texture. 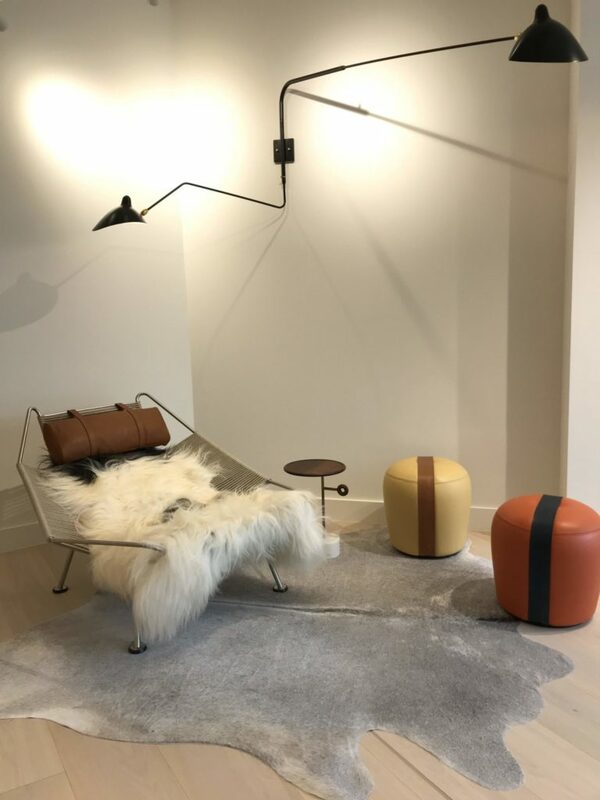 Design Centre, Chelsea Harbour has a new crop of stylish showrooms, with many international names requesting larger spaces. 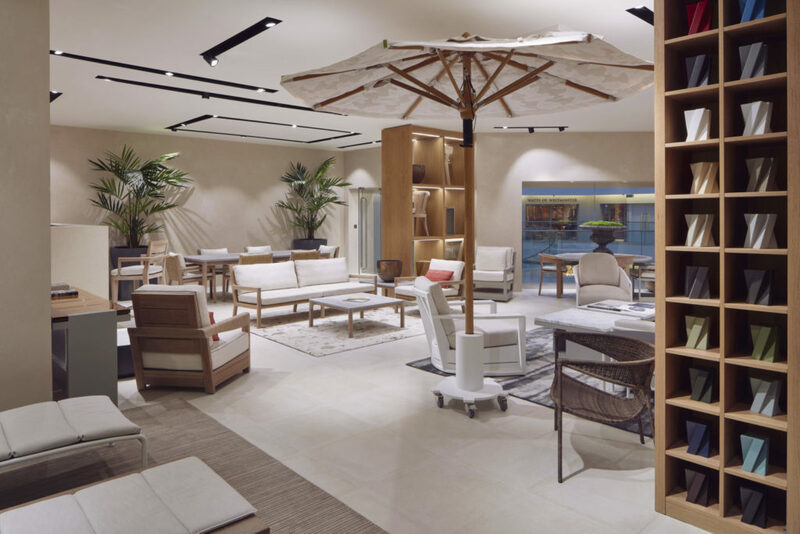 Sutherland Perennials Studio, a Dallas-based company, has opened a second showroom devoted to its luxury outdoor furniture and rugs. The airy, modern setting provides the perfect space for impeccable pieces by Vincent Van Duysen and Christophe Delcourt, while a living wall and tactile surfaces that are subtly sculptural contribute to the overall sense of inviting beauty. The new ‘Neo-Contour’ chaise by Belgian designer Jean-Pierre Geelen makes a striking statement, combining modern minimalism with advance materials, while retaining elegance and comfort. 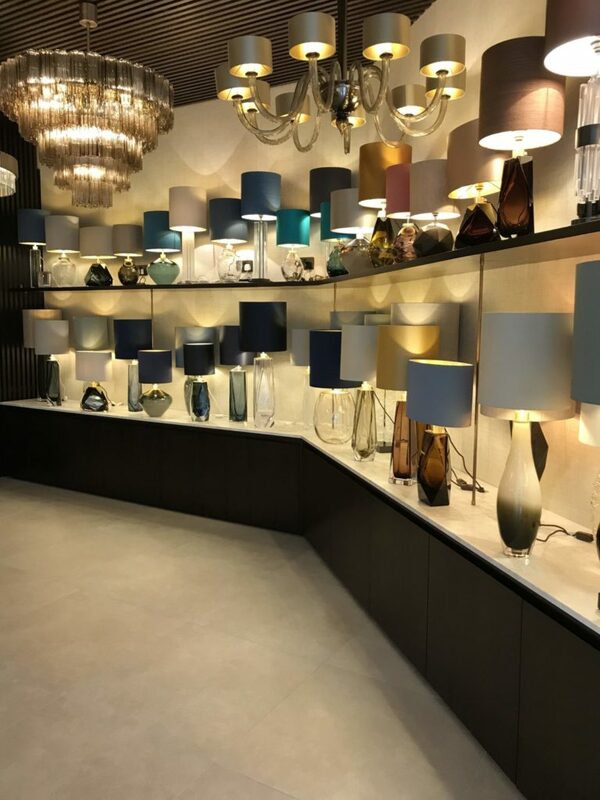 Bella Figura’s new flagship showroom has craftsmanship at its core, inspired by the techniques that underscore its lighting collection. Working closely with a master craftsman, bespoke furniture and fixtures have been created for the much larger space. Expect designs across a broad style spectrum, from retro to transitional through to ultra-contemporary, handmade from the finest materials in England and Italy. Pictured are a ‘Halo’ pendant and ‘Glacier’ and ‘Arctic’ table lamps. Gladee Lighting has opened a new larger showroom on the third floor of the North Dome. From modern masterpieces to crystal show-stoppers, the carefully chosen statement pieces are dramatic but organic, and crafted to the highest level. Don’t miss the ‘Crystal Ribbon’ chandelier by lighting designer and glass artist Jaroslav Bejvl. Made from Czech crystal glass, the design’s use of 3D technology ensures the silhouette looks different from every angle; the unique brilliance of Bohemian glass means it constantly changes in front of one’s eyes. Stark Carpet’s new, modern space on the Third Floor has a decidedly chic aesthetic. A combination of clean lines, subdued lighting, concrete floors, dark grey walls and walnut finishes casts an aura of serenity that feels timeless yet of the moment. For over 75 years, the US firm has established a reputation for its fine quality rugs and carpets. 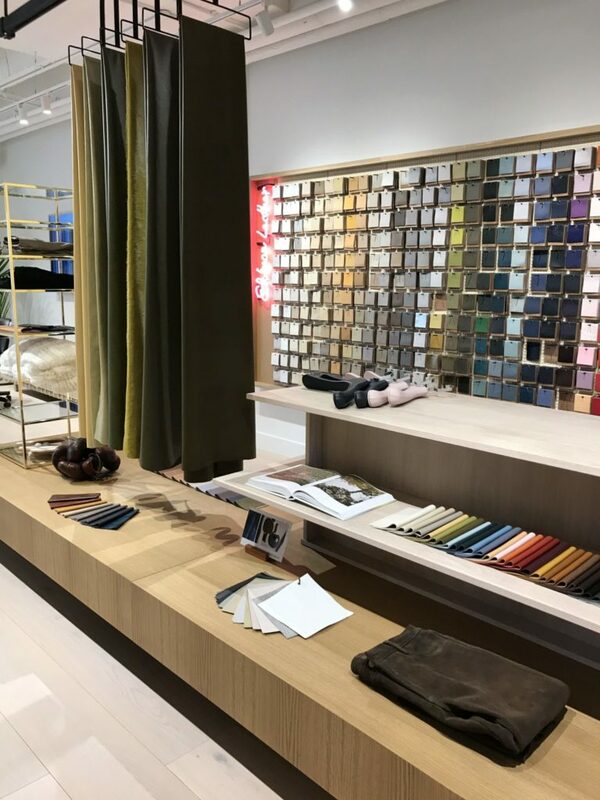 A visit to the new showroom is both an inspirational and educational shopping experience. 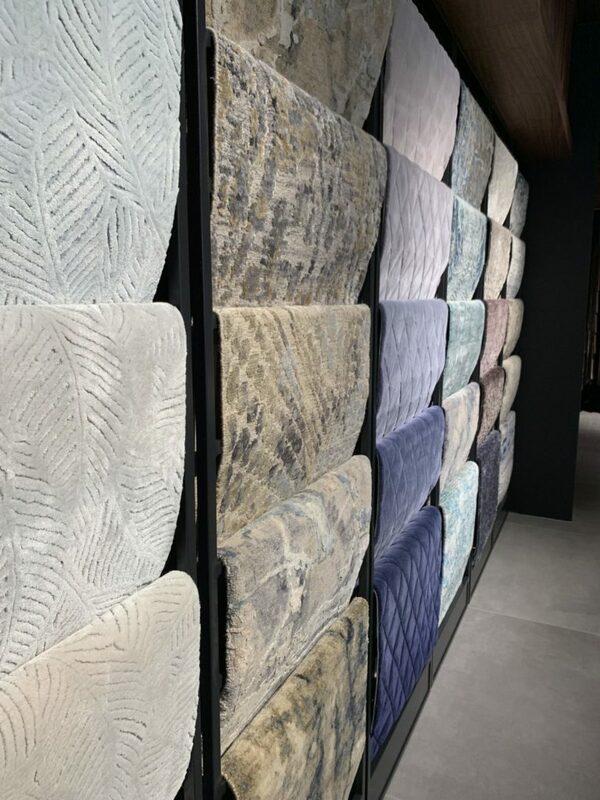 More space means that larger designs (from 3 – 4.5 metres) can be displayed in all their glory, alongside the latest innovations such as handknotted silk broadlooms that marry handmade luxury with wide width. 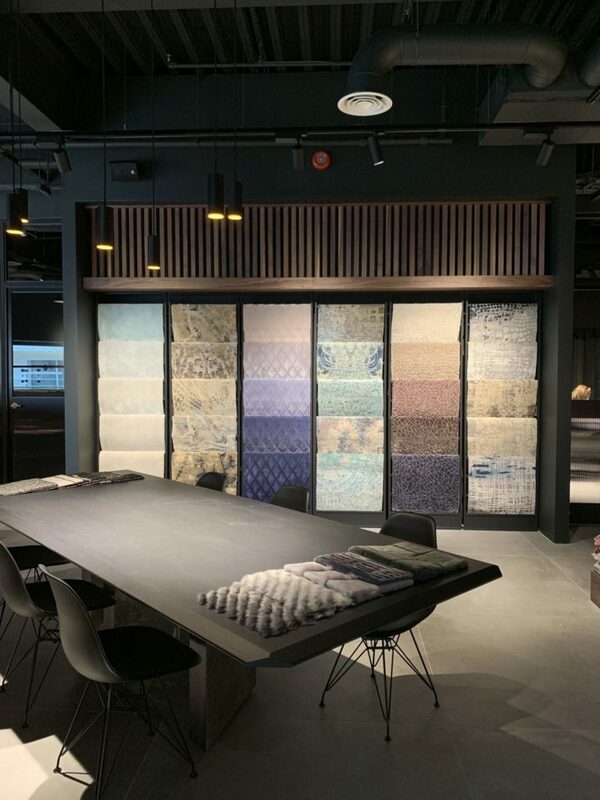 Choosing the right carpet requires careful consideration and the team is on hand to discuss patterns, colours and materials, as well as the creation of bespoke designs.